Have you ever thought about playing fully kitted American football? Now is your chance! We are looking new players for the upcoming 2019 season. Our Give It A Go sessions will be held on Sunday 25th Nov / Sunday 2nd Dec / Sunday 9th Dec.
All 3 will take place at Peoples Park Portadown, with registration starting at 10.45am then combine and drills starting from 11am and all finishing at approx 1pm. You'll get to try multiple positions and see which one you like best. Afterwards, if you are keen to try more, we would love to invite you to become part of our senior kitted team! No prior experience is needed and all are welcome. All you need to bring is a gumshield, boots (rugby/soccer boots are fine) and water - we will provide the rest. Please note: You must be over 18 to join our senior team. Find out more about joining the club here and more about our senior team here. We look forward to welcoming you to the club! Car parking is free inside the park and can be accessed via Park Road. 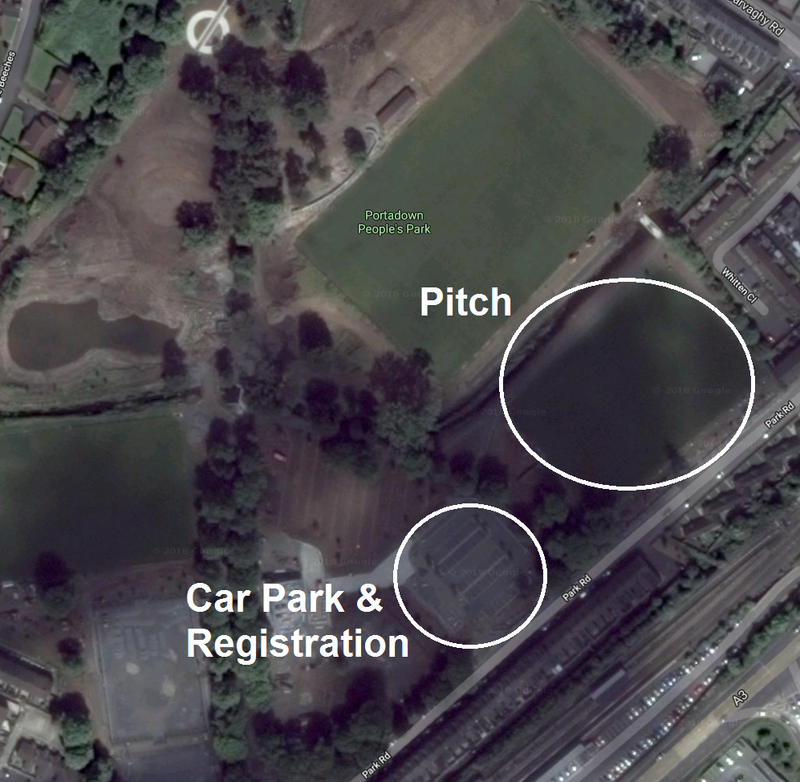 Please arrive for 10.45am to get registered and be on the pitch for 11am to start warm-ups.